Do you have executive presence? Can you define it well? Is your executive presence optimized? For many business leaders, the answer to these questions is no. 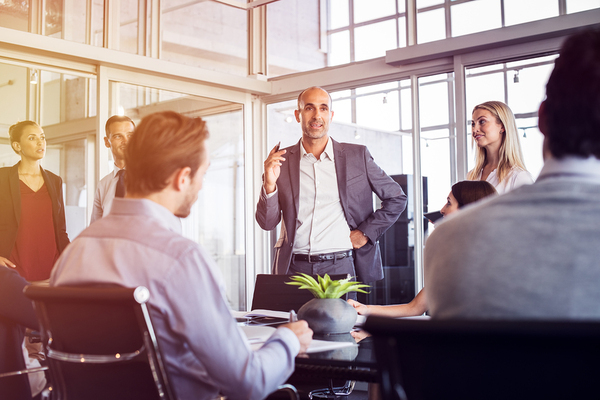 Fortunately, there are tools available that help executives at all levels develop the right presence and incorporate it into their business leadership. Allison Kluger, a lecturer at Stanford’s Graduate School of Business, works closely with leaders on their executive presence, drawing from her experiences as a producer and consultant at The View, MSNBC, and Current TV. Kluger defines executive presence in several ways. It’s how you control a room, the impressions you make and the affect you have on people around you. It’s about your appearance, physicality and verbal communication. Does it matter? To Kluger, it’s essential to having success in the workplace. Whether it’s a new situation or one with existing colleagues and subordinates, all eyes will be on you. You need to make an impression that’s positive and commands respect in order to be treated well. Executive presence can be learned and practiced to strengthen and develop skills. Consider Your Mindset. You need internal confidence to exude external confidence. That means using that inner voice of doubt to your advantage. Turn it instead into a trusted advisor, one that helps you discover the real truth about your anxieties. Be Aware of Appearance. You don’t need to spend a lot on your wardrobe, but the wardrobe needs to be appropriate for the meetings you’re in and lead. Dressing too casually or sloppily can sway how people think about you. Your Voice Is Powerful. Part of your communication is embedded in how you use your voice. You need to be clear and present and, depending on the situation, decisive. Knowing when it’s time to evaluate and ask for information and when it’s time to make a decision is critical. People need to be heard … and they need a decision. Know the Foundation. What skills and attributes do you have that are part of our foundation of executive presence? These are part of your core and should be nurtured and honed. In addition, there may be skills that you do not possess or do not do well that need to be added or dropped. Getting help from trusted advisors or a leadership coach can help you identify what your strengths and needs are. Keep Up the Energy. You need to command the room you are in. That means having a physical presence, with good posture and energy. If you exude interest and confidence, others will draw on it and sense it from you. Learn from Others. Do you have leaders or mentors you admire? Studying those people is a good way to learn what’s making an impact on you or others. Think about leaders who’ve inspired you. What did they do and how did they behave (both on a daily basis and during a crisis) and how did their presence affect and shape you? Executive presence needs to be authentic, but that does not mean you cannot improve yours and be genuine and true to yourself while leading others.